Nossos cursos são projetados para surfistas iniciantes e avançados e acontecem em praias mágicas com águas translúcidas, areia branca, muitas ondas e golfinhos. Com o apoio de sessões de vídeo, duas horas práticas e uma teórica diariamente com video analise , vamos corrigir os seus movimentos e lhe ensinar exercícios especiais e uma grande variedade de técnicas. Nossos cursos são ministrados para instrutores Certificados ISA durante o ano inteiro, assim você pode começar quando quiser! 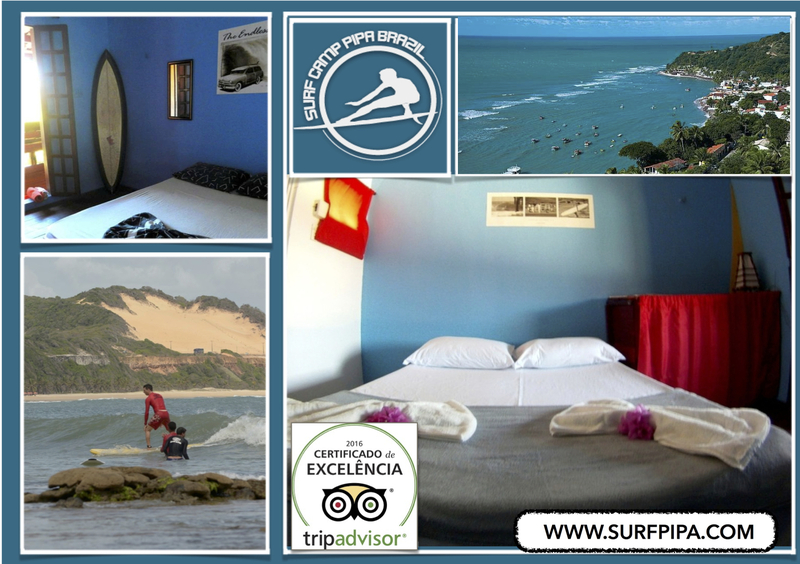 In our tropical surf paradise the surfing is good whole year, in the winter southeast swell influences the waves of north side of Pipa and in summer time with northeast swell work better waves at south side of Pipa. Pipa is very small, our village has about 8 thousand inhabitants in 4 km you can get the whole area in less than a day walking, the center of Pipa forms in a main street 800meters from end to end, where you will find shops of handicrafts, restaurants, the bars around main street during the week the party there is great with a diversity change of type of music day by day, perfect environment for walking with family or friends.